Obamacare is not working. The Senators who voted not to repeal Obamacare knew that when they voted. 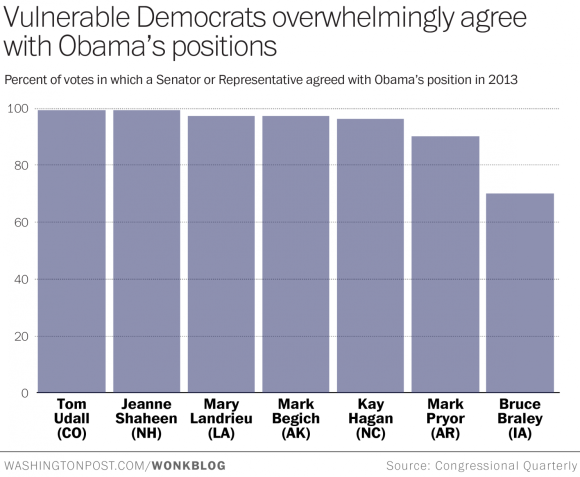 However, the situation for Obamacare has deteriorated further since that vote. The Washington Free Beacon reported today that he Massachusetts Commissioner of Insurance has announced that the Obamacare co-op is now under its control as the Supreme Judicial Court granted the commissioner receivership. The commissioner said Minuteman Health’s capitalization is very thin, and this action was done to protect policyholders and health care providers. In June Minuteman Health of Massachusetts and New Hampshire announced that it was pulling out of the Obamacare exchanges next year. “Minuteman Health is subject to certain co-op rules that limit Minuteman Health’s ability to adjust its business model to mitigate the impact of the dysfunctional risk adjustment program,” the company stated in June. If Minuteman Health opts to create a new insurance company, that company will not be subject to these rules. As I have said before, government programs don’t understand actuary tables–insurance companies do. Insurances companies are in business to make money. That is legal and should be encouraged. When the government interferes with the free market, bad things happen. Obamacare is a shining example of that principle. Yesterday Hot Air posted an article on its website called, “A Fisherman’s tale of fighting Uncle Sam.” The article deals with a lawsuit that has been making its way through the legal system since 2015 and may be coming to the Supreme Court later this year. It involves a small volume fisherman who is fighting back against onerous regulations from the Department of Commerce which are threatening to put him (and so many other family operations) out of business. David Goethel is in the fight of his life because new government regulations are costing him more per day than he can generally earn in profit from his fishing operation. Cause of Action Institute (CoAI) is working on this case and provides the details. Meet New Hampshire fisherman David Goethel. The federal government is destroying Mr. Goethel’s industry through overregulation and forcing ground-fishermen like himself to pay $700 per day to have authorities monitor them on their boats. Even the government estimates these additional costs would put 60% of the industry out of business. CoAI is helping Mr. Goethel fight back through the courts to save his livelihood. This is a story that is being told by commercial fisherman with family businesses who are under attack by federal and state regulators making legal changes that favor either sports fishermen or large commercial fishing enterprises. This over-regulation needs to stop. The state and federal government is attacking the family fisherman while at the same time over-fishing by foreign fleets continues off of our coasts. What is the government trying to accomplish? Besides the gross unfairness of the situation, I’m left wondering how this was the only solution the government could come up with. This is 2017, not 1817. Even if you feel you need to peer over the shoulders of these fisherman every time they leave port, do we really have to station a human being on every boat? Couldn’t there be a camera hooked up via satellite using Skype or something so a single person back on shore could monitor multiple boats? Goethael has already been through two rounds of court action protesting this crippling regulatory burden but has been rejected in the lower level courts. Thus far they haven’t even been ruling on the merits of the case, but rather on a technicality, claiming that the plaintiff didn’t file soon enough after the regulation went into effect. (This ignores the fact that the government didn’t transfer the cost of these monitors to the fishermen until much later.) CoAI has filed a petition for writ of certiorari urging the Supreme Court to take up the case and rule on the merits and consider the damage that this regulatory albatross is doing to an industry as old as the nation itself. If we have reached the point where we have surrendered so much of our freedom that the state or federal government can put small businessmen out of business, it is time to take a second look at our government. Is our government operating under the principles our Founding Fathers set forth? I think not. Yesterday Breitbart posted an article about one researchers findings on voter fraud. A study by political scientist Jesse Richman from Old Dominion University in Virginia found that 6.4 percent of the 20 million noncitizens who reside in the United States voted in November’s presidential election. Obviously we have no idea who they voted for, but we can make a fairly educated guess. He then extrapolated these results into support for each presidential candidate, estimating that Clinton would have received 81 percent support from noncitizens, therefore receiving an extra 834,000 votes. The number of 834,000 is significant enough to have tipped some of the closest races in Clinton’s favor, including New Hampshire, Nevada, and Maine, all of which Clinton won by margins of under 3 percent. It would also have reduced Clinton’s margin of victory in the popular vote, which she won by 2.8 million by dominating cosmopolitan centers such as New York and California. Most countries with free elections have voter ID requirements. It’s time we joined the club! The Hill is reporting today that Hillary Clinton will leave New Hampshire with the same number of delegates as a result of the New Hampshire primary as Bernie Sanders. Despite the fact that Sanders won by approximately 20 percent, they will have an equal delegate count. If this doesn’t make the average Democratic voter furious, nothing will. Clinton won nine delegates in the primary but came into the contest with the support of six superdelegates, who are state party insiders given the freedom to support any candidate they choose. The Clinton campaign has mounted an aggressive effort to secure about 360 superdelegates across the country, according to The Associated Press. Sanders has a total of eight superdelegates. This is amazing. There is actually a possibility that Bernie Sanders could win every state primary and Hillary Clinton could be the Democratic party nominee for President. If that doesn’t make voters angry–nothing will. Either your primary vote counts or it doesn’t.. In this case, it looks like it doesn’t. Clinton’s superdelegate supporters includes Gov. Maggie Hassan, Sen. Jeanne Shaheen, and Rep. Annie Kuster. She’s also backed by Democratic National Committee members Joanne Dodwell, Billy Shaheen and Kathy Sullivan. It looks like the fix is in. Mediaite posted an article this morning about the first primary election results from New Hampshire. Dixville Notch votes at the stroke of midnight, so their results are in. On the Republican side of things, Ohio Governor John Kasich brought in one more vote than Donald Trump, for a total of 3 votes Kasich and 2 for the real estate mogul. As for the Democrats? Call it a Dixville clean sweep for neighboring Senator Bernie Sanders, who brought in 4 votes compared to Hillary Clinton‘s 0. Obviously, Dixville Notch may not be representative of the rest of America, or even of New Hampshire, but the numbers are interesting. The thing to remember when looking at the New Hampshire primary is that southern New Hampshire is generally inhabited by people who left Massachusetts because of the high taxes. It tends to reflect the liberal mentality of the northeast–even in the Republican party. A true conservative or an evangelical Christian running for President should not be expected to do well in New Hampshire. It will be interesting to see how the media attempts to spin this. Will Hillary declare victory? Will the media attempt to push Kasich as a result of this vote? Stay tuned. I am watching the Republican debate. This is a collaboration between the Republican establishment and the media to make sure a non-establishment candidate does not win the Republican nomination. The media would like Hillary Clinton to win the presidency, but a lot of Americans are not necessarily following the media in this plan. Note that Carly Fiorina is not on the stage and the John Kasich is. The only voting that has taken place in this election cycle has been in Iowa, where Carly Fiorina got more votes than John Kasich. Since that number represents actual votes, rather than inaccurate polls, I believe the people on the stage tonight were not chosen fairly. The establishment candidate is on the stage; the non-establishment candidate is not. Admittedly, the difference in the number of votes is small, but the fact remains that Carly Fiorina got more votes than John Kasich. To add insult to injury, Breitbart.com has posted an article today about one of the moderators of the Republican debate. Martha Raddatz is married to a Harvard Law School classmate of Barack Obama. President Obama attended her wedding. President Obama appointed Julius Genachowski (Ms. Raddatz’s husband) to head the Federal Communications Commission (FCC). Ms. Raddatz is one of the moderators of the Republican debate. Does anyone actually believe that she will be an unbiased moderator? The Republican Party needs to choose the moderators for the Republican debates. These moderators need to be people who do not have strong ties to the Democratic Party. What is happening now on ABC is an attempt to use the Republican Presidential candidates to ensure a Democratic victory in the Presidential election in November. What In The World Is Happening In Our Schools? This is not an article about Common Core. This is an article about common sense. Fox News posted an article today about an incident in a high school in Maine. In today’s world, students are encouraged to do community service. I think that is a really good thing, but there do need to be some parameters around what qualifies as community service. A public high school in Maine was caught red-handed trying to recruit students to work on Hillary Clinton’s presidential campaign as a “community service opportunity” – without the knowledge or consent of parents. …Students at Marshwood High School in South Berwick received an email from the Clinton campaign – urging them to sign up for positions as unpaid “fellows”. I have not objection to schools encouraging civic involvement–they just need to be balanced in their approach. Yesterday, Bloomberg,com reported that New Jersey Governor Chris Christie has released his plan to reform Social Security. Christie, the 52-year-old Republican governor of New Jersey, called for phasing out retirement payments to those with more than $200,000 a year in other income and smaller reductions for those earning $80,000. Together, he said, the overhaul would save $1 trillion over a decade. — Raising the age to qualify for Medicare by one month per year until it reaches 67 from the current 65. — Eliminating payroll taxes for seniors who remain in the workforce. I have some major problems with this idea. Social Security is deducted from almost everyone’s paycheck from the time they begin work. Federal employees, active duty military (and Congress) are exempt. The money was supposed to be put in a lock box where it could accrue interest and grow to meet the increasing need. In 1965 (or so) that lock box disappeared and the money was used to fund the war in Vietnam and the Great Society programs. Since then it has been used to fund welfare and entitlement programs. Generally speaking, these entitlement programs do not have a work requirement and the people collecting the money do not have to do anything to earn the money they receive. In most states welfare recipients are not drug tested (most working people have to pass a drug test in order to get a job). Social Security is not the place to cut the federal budget–the people collecting it have paid money into it–it is not their fault the government chose to spend the money. Recently my husband and I took a vacation to Iceland and Wales. In Wales I learned something about giving to people who may be in need. My husband and I volunteered in a restaurant run by a church. In America, it would be similar to a soup kitchen. However, there was something about the restaurant (which served dinner once a week) that impressed me. The meals were not free. There was a small charge for dinner and a somewhat limited menu to choose from. If someone came in who could not pay, they were given a free meal, but generally speaking, a diner paid something for his dinner. Somewhere along the line, we have taught a group of Americans that there is a free lunch. It is time for that to end. We are accomplishing nothing by denying benefits to those who have paid for them and giving benefits to those who are contributing nothing. That is the wrong message to send. As an afterthought–does anyone really believe that once an income limit is set on receiving Social Security there will be no changes to that limit? Governor Christie’s plan has the potential of turning Social Security into a plan that everyone who works pays into but is only available to those making less than $50,000 a year in retirement. His plan will create another entitlement that everyone who is working pays into and everyone who is not working can collect from. We have all heard the whining and moaning about the Supreme Court decision on Hobby Lobby. Some of the media has painted a picture of Hobby Lobby that makes you wonder why anyone would work there. As usual, the picture the media has painted has little to do with the reality of the situation. On Monday, The Corner at National Review posted an article citing actual facts about Hobby Lobby and the benefits it provides for its employees. That really doesn’t sound like she is being denied healthcare. The article reminds us that Hobby Lobby offers medical coverage for 16 different kinds of birth control for its employees. The legal case was to exclude four methods that are seen to cause abortions. Again, there is no ban on employees using these four methods, but Hobby Lobby will not pay for them. I disagree with the writer’s conclusion. This is not about free stuff. It’s about convincing the low-information voter that there is a ‘war on women’ in conservative politics and that they need to vote for Democrat candidates. There are very few Americans who will do their homework and get the facts on this case–most will rely on news that quotes the type of statement quoted in the beginning of this article as fact. Would it be fair to say that Democrats regard women’s healthcare as the right to kill babies and that right must be protected? Hot Air posted an article today about the New Hampshire Senate primary. It seems as if Eric Cantor‘s defeat might have been the beginning of a trend. Scott Brown has been seen as the favorite to be the New Hampshire Senate candidate, but things may not be that simple. Senator Smith has a well-earned reputation of standing firm for our conservative beliefs and values and for fighting Washington to stop their overreach. Bob Smith was TEA Party before it had a name. Scott Brown is a good man, but he has never claimed to be a conservative. He won the special election in Massachusetts to become the Senator to replace Ted Kennedy for two reasons–first of all, the Democrats did not see him coming and did not mobilize, second of all, he knocked on almost every door in the commonwealth and ran as the fifty-first vote against ObamaCare. The fifty-first vote didn’t work out because the Massachusetts Secretary of State delayed seating him in the Senate long enough so that he didn’t get to vote on ObamaCare, but that was the intention. The second time Scott Brown ran in Massachusetts, the Democrats threw everything they could at him to make sure he didn’t win. He didn’t have the support of the Tea Party and was totally outspent and outmaneuvered. The New Hampshire Tea Party conservatives have never been a fan of Scott Brown. It is not a surprise that they would support a more conservative candidate. CBN News posted a story today about the relationship between tax rates in different states and where people choose to live. Brown (author Travis H. Brown) discovered that the nine states with no personal income tax gained $146.2 billion in AGI. Those states include Alaska, Florida, New Hampshire, Nevada, South Dakota, Tennessee, Texas, Washington, and Wyoming. Conversely, the states with the highest personal income tax rates lost a total of $107.4 billion. They are California, Hawaii, Oregon, Iowa, New Jersey, Vermont, New York, and Maine. Washington, D.C., was also included. Another measurement delivers similar results. Brown looked at the 10 states with the lowest per capita state and local tax burdens and found they netted $69.9 billion in AGI. Those states include Alaska, South Dakota, Tennessee, Louisiana, Wyoming, Texas, New Hampshire, Alabama, Nevada, and South Carolina. The 10 states with the highest state and local tax burden lost $139 billion in AGI. They are New York, New Jersey, Connecticut, California, Wisconsin, Rhode Island, Minnesota, Massachusetts, Maine, and Pennsylvania. This story has personal relevance to me. My husband will be retiring at the end of the year, and we are about to put our house on the market. (If anyone wants a five-bedroom house in Southeastern Massachusetts, please leave a comment). We are moving for many reasons–one of those reasons is the cost of living in Massachusetts. We will be headed to North Carolina where we have family and the cost of living is lower. Recently, Massachusetts raised the taxes on cigarettes. I don’t smoke, so that doesn’t impact me, but I was in a store yesterday in Rhode Island near the Massachusetts state line. The person ahead of me in line was commenting that she would no longer be buying cigarettes in Massachusetts because they were cheaper in Rhode Island. Right now, gasoline is more expensive in Rhode Island than in Massachusetts, but since the gasoline tax in Massachusetts is now indexed to inflation, I wonder how long that will be the case. When people have an option, they give less money to the government, whether it is state or federal government. The Laffer Curve explains one aspect of that. At some point, government needs to realize that at some point it has all of the money we have earned that it is entitled to. The question is exactly where the point of enough taxes is reached. I don’t know what the official definition of heroism is, but most of us equate it with bravery in battle or overcoming odds. Sometimes heroism takes a different path. On Tuesday, the U.K. Daily Mail posted a story about Cameron Lyle, 21, of Plaistow, New Hampshire, a student at the University of New Hampshire. Cameron is a star athlete who competes in the discus, hammer and shot put. He has made the decision to give up the last two track meets of the season, one of which is the America East Championship. This is Cameron’s final athletic season. Cameron is doing this in order to donate bone marrow to a 28-year-old cancer victim who has six months to live. Today’s Wall Street Journal posted a story on Congress‘ latest attempt to grab more of your hard-earned money. That’s not really anything new, but every now and then their chutzpah amazes me. Last Tuesday a bill was introduced that would impose a sales tax on the Internet. It may be voted on as early as tomorrow. I am sure all of the people voting on it have read and understood it, right????? For Senators curious about what they’re voting on, it is the same flawed proposal that Mike Enzi (R., Wyo.) introduced in February. It has been repackaged to qualify for a Senate rule that allows Majority Leader Harry Reid to bypass committee debate and bring it straight to the floor. I thought we settled this ‘taxation without representation’ thing a few hundred years ago. Meanwhile, New Hampshire’s brick-and-mortar retailers will bear no such burden. They will not be required to collect taxes on the many customers who drive across the Maine and Massachusetts borders to shop in New Hampshire. Bill sponsors say it would be too big a hassle to force traditional retailers to ask every walk-in customer where they live, but these Senators are happy to impose new obligations online. This has the potential of being a worse mess than ObamaCare. Let’s remember who votes for this and vote them out of office next year. Hot Air is reporting today that the Midland, Mich.-based Mackinac Center has released a report stating that in 2011 New York had the highest cigarette smuggling rate in America. In 2006, when the cigarette tax was $1.50 a pack, New York was the fifth highest. In 2008, the tax went to $2.75 a pack, in 2010 it went to $4.35 a pack. That increase was enough to move New York from fifth place to first place in the number of cigarettes smuggled into the state. It is now estimated that 60.9 percent of all cigarettes smoked in New York are not taxed there! What can we learn from this? Simple. People don’t like to pay taxes and will do almost anything to avoid them. Some state is making money on the sale of these cigarettes–it’s just not New York. New Hampshire seems to be where most of the smuggled cigarettes are coming from–New Hampshire does tax cigarettes, but only $1.68 a pack. I suspect New Hampshire collects more revenue from its lower tax than New York does from its higher tax. Maybe we could learn from that. The Daily Caller is reporting today that the New Hampshire Senate has passed a bill requiring voters to show identification when they vote. The video was done by James O’Keefe and shows people giving the names of people who had recently died receiving ballots to vote. The legislation still has to be passed by the New Hampshire House. As I have previously stated, I have no idea what to make of this. There seem to be some valid questions about President Obama’s eligibility to be President. On Monday wnd.com reported that in addition to the court case in George about putting the President on the ballot (see rightwinggranny.com), there are other states taking a closer look at how they qualify candidates for elections. Whatever happens in Georgia, Americans have the right to be fully confident that a candidate on the ballot has been checked to make sure he meets the qualifications for the office he is seeking. The question is out there. It will be interesting to see what happens next. Meanwhile, have you read about this in the mainstream media? Earlier today I posted an article about the James O’Keefe and Project Veritas video showing how easy it is for dead people to vote in New Hampshire. I would think that after watching the video, the people who monitor elections would be hanging their heads in shame. I guess shame is something of a lost emotion. The Blaze reported today that the New Hampshire Attorney General’s office is investigating James O’Keefe and Project Veritas. What?! How about investigating election procedures in New Hampshire and figuring out what actions can be taken to prevent dead people from voting? This is a true instance of shoot the messenger. James O’Keefe exposed a problem in the New Hampshire voting procedures. Rather than fix the problem, the Attorney General has decided to attack the person who exposed it. The Attorney General should be fired. Has our political system in America become so corrupt that we won’t even attempt to protect the integrity of the vote? Yesterday John Hinderaker at Power Line posted an article about the dead people who attempted to vote in the New Hampshire primary. Yes, you read that correctly. None of them actually did vote (that would be a felony), but in most cases they would have been able to vote. On January 10th, Project Veritas reporters walked into New Hampshire Polling Locations during the Presidential Primaries, saying dead people’s names. We stated the name of a dead person we got from the NH obituaries. The names of the deceased were both Registered Republican and Democrats And in almost every case, saying a dead person’s name, we were handed a ballot to cast a vote. We used no misrepresentation and no false pretenses. in fact, in almost every case, we insisted we show ID and they insisted that we vote without showing ID. There is a video at Power Line showing a number of these encounters. How much does this kind of fraud go on for real? I think the best evidence that it is widespread is the Democrats’ hysterical reaction to every effort to protect ballot integrity–including, now, threats by Obama’s Department of Justice to persecute states that try to prevent voter fraud. It sounds as if we need to demand voter ID if we want an honest election in 2012. Otherwise we are taking another step in the direction of becoming a banana republic.